In regards to your question: Where would I want to spend my birthday if I could spend it anywhere I could? Saskatchewan. And, oh, hey, that’s where I did spend it. 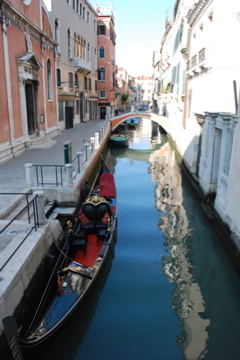 I think Venice is a great choice for a birthday location – I spent mine there in 2007. We found it both wonderful and horribly frustrating, mostly because how expensive it is. The cover charge isn’t Italy-wide, it’s pretty much only Venice. And they charge for all sorts of other things too. 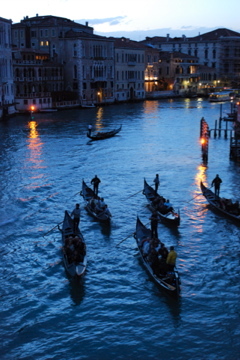 But, being in Venice – I mean, VENICE, is so cool it makes up for it. 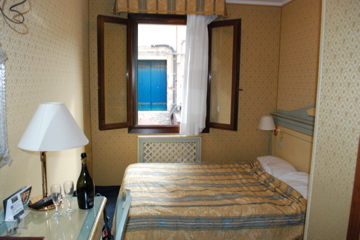 Accommodation was difficult for us too, but we found a room for 80 euros a night, and since there were four of us and two double beds it was very reasonable. In Venice, not Mestre, as well. Thanks Linda! We found the cover charge pretty common in most of the places we visited in Italy. Whenever there wasn’t one it felt like a bonus, which is silly, but true. I still haven’t been to Italy, and would love to visit both Venice & Florence..well, and Rome, and Sicily, and everywhere.. but I think that if I had to choose somewhere to spend my birthday, it would be Germany. I’ve always wanted to go and my birthday happens to be in October.. so.. OKTOBERFEST, woohoo!! That’s it – it’s settled.. I’m making it happen this year. Happy Belated Birthday & New Year!